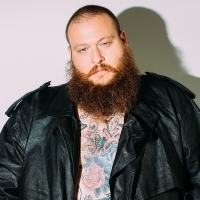 US rapper of Albanian descent, born and based in New York and formerly a highly-regarded chef - he often raps about food in his songs. Action released his debut studio album, 'Dr. Lecter', in 2011, along with the collaboration album 'Well-Done' (also 2011, with Statik Selektah), 'Mr. Wonderful', 'Blue Chips 7000' (2017) and 2018's: 'White Bronco'.